A light and fluffy white frosting, ideal for any layer cake. Beat marshmallow creme, sugar, butter and vanilla with electric mixer on medium speed until well blended. Beat in milk 1 Tbsp. at a time until frosting is desired consistency. 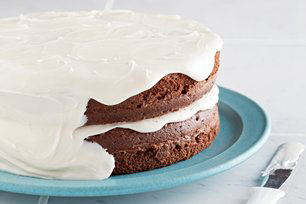 Recipe makes enough frosting for 1 (2-layer) cake.